The average bathroom remodel costs $9,799. Most homeowners spend between $5,931 and $14,192. You can spend as little as $3,500 to $7,000 updating the essentials in a small or medium-sized bathroom. On a large or master bath, you could spend up to or beyond $13,000. Determining your budget could be tricky when planning your renovation. A large factor in determining cost will be the size of your bathroom, ranging from small to medium or master bathroom size. The fixtures you will need to fit in your bathroom will range in price depending on their size. The list of fixtures involved in remodeling a bathroom can include elements like faucets and fixtures, floor plan changes (like converting a half bath to full bath), new showers or baths, new flooring, countertops, cabinets and lighting. This long list of comes with a lot of different prices and options to compare before choosing what to buy for your bath remodel. Remember: you don’t have to include all of these items in your bathroom remodel, unless you’re building a whole new bathroom from scratch. You always have the option to add some pieces–sink, toilet and lighting fixtures–after you’ve done the bigger projects to spread out costs. Also consider that some of these projects–bathtub installation/remodel, shower installation or cabinet installation–have smaller, cheaper alternatives. For example, you can refinish cabinets to make them look brand new and flow with the new bathroom for less money. There is also the option of replacing faucets and other plumbing fixtures, which costs less than replacing bathtubs and showers. For those who want a similar style from room to room, it’s worth considering the cost of kitchen cabinets ahead of time. If you plan to have your kitchen remodeled after you tackle the bathroom, consider the cost of your bathroom cabinets and fixtures on a larger scale. This will give you a more detailed estimate of your kitchen remodel cost. Fixtures and appliances: If you replace any of your current fixtures and appliances in the bathroom–countertops, bathtub, toilet, sink, etc.–this will increase the cost because the professionals will need to remove the originals and install the new ones. You can save on this cost by refinishing some of the appliances or buying the materials yourself. Plumbing and electrical: Any issues with your plumbing or electricity during the renovation will add onto the cost of the remodel. You might have them checked by separate professionals ahead of time just in case. However, there could be issues that occur during the renovation that can’t be planned for. Why do you want to remodel the bathroom? Is it to modernize the functionality of your current bathroom? To update the style and color? Who is this bathroom for: female, male, adult or kid? Ask yourself if the bathroom design style should be classic or contemporary, mid-century modern or Bohemian chic. How will it flow with the rest of the house based on the style you choose? Does your bathroom fit your lifestyle? Maybe you live a fast-paced lifestyle where you never have time for more than a quick shower in the morning. Perhaps you like a long, leisurely, relaxing soak in a jacuzzi tub at night. Either way, how you plan to design the bathroom reflects both your aesthetic taste and lifestyle, and all of this impacts your costs and price range for accessories. Approach your contractor with many examples of your remodel ideas, including pictures from home decor magazines, links to bathroom design ideas on the web and paint chips from the hardware store. The more information a contractor has ahead of time, the more your bath remodel ideas will turn out exactly how you want it. 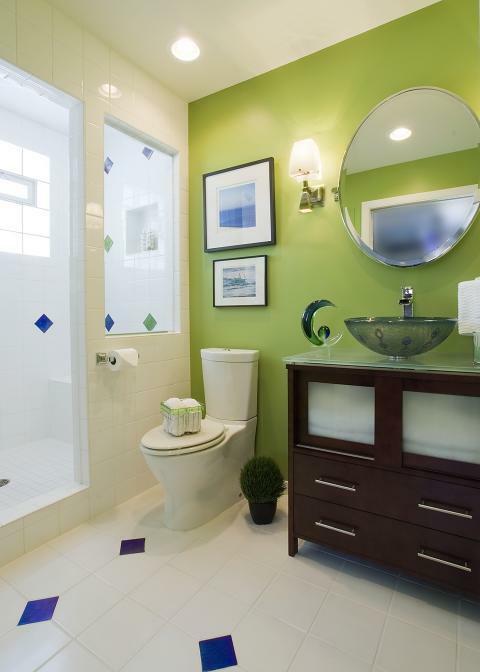 by Planet Home Remodeling Corp., a Bathroom Remodeler in Berkeley, CA. The average cost of a bathroom remodel in Berkeley is approximately $14,000 to $18,000. by Luxury for the Home, a Bathroom Remodeler in Dallas, TX. The average cost to remodel a bathroom in Dallas is approximately $7,300 to $10,000. 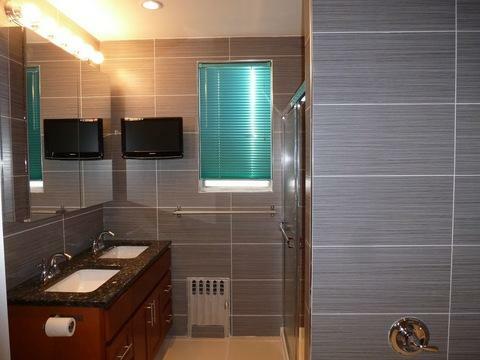 by Beyond Designs and Remodeling, Inc., a Bathroom Remodeling Contractor in Brooklyn, NY. For most homeowners in Brooklyn, the average cost for a bathroom remodel is approximately $9,800 to $13,000. by Luxury for the Home, a Bathroom Remodeling Contractor in Milwaukee, WI. The average reported cost of a bathroom remodel in Milwaukee is $9,000 to $12,000. 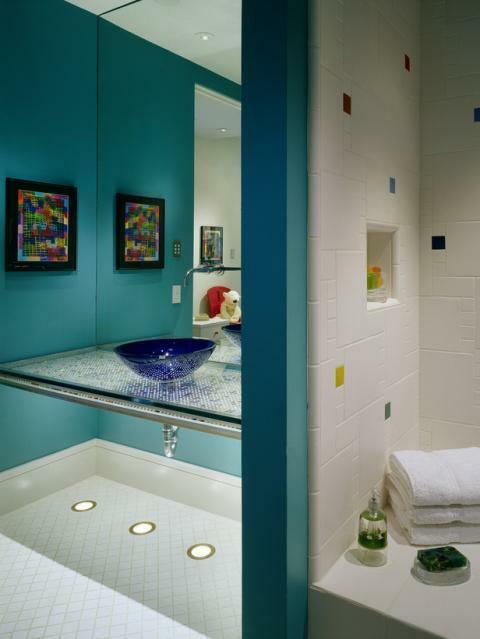 by Luxe Interiors, a Bathroom Remodeling Contractor in Denver, CO. The average cost of a remodeled bathroom in Denver ranges from $5,500 to $8,000. 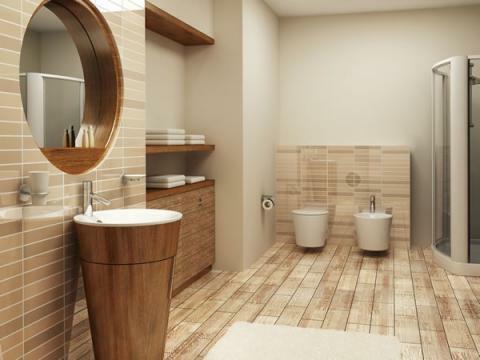 by Ideas and Solutions, a New York Bathroom Remodeling Contractor. And the average cost of a bathroom remodel in New York City is roughly $9,500 to $13,000. Once you have ideas for your renovation planned out, the next step is to find accessories for your remodeled bathroom in your price range. 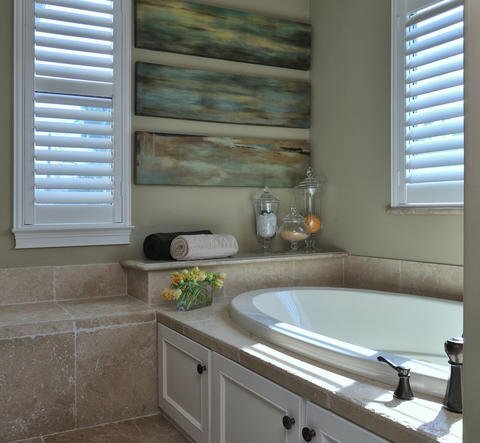 If your idea for the bathroom doesn’t fit exactly within a type of style like modern or contemporary, you may need to hire a professional craftsman to custom build accessories like the vanity, countertop or mirror frame. These specialized contractors will have different prices for their work depending on the material you want the accessories made from and how they calculate their prices: by the hour, job or otherwise. However, if you want to stay close within your budget, there is the option to buy accessories like sinks, toilets, countertop materials, cabinets and different lighting options at home improvement stores. They have a variety of options when it comes to items like bath lighting, toilets, sinks, vanities and cabinetry because they come straight from different manufacturers. Of course, you might leave the selection to your general contractor if you’re uncertain about buying what fits best within your budget and design. Contractors often also have wider access to bath remodel accessories because of their personal relationships with manufacturers. This also means they could buy them for better prices than at a home improvement store. An experienced contractor should be able to give you a written schedule and list of the construction tasks they are going to perform and what their deadlines are for the completion of each task. This helps prevent disagreements along the way and gives you clear expectations about how long the project should take to complete when remodeling a bathroom. A bathroom remodel is often a lengthy project, and thus a contractor may ask for money in advance of the work being started and after completion of specific milestones along the way. Make sure that the payment schedule and total amount is agreed upon and put in writing before the start of the project. Then at the end of the project, the contractor will be able to give you an itemized list of everything included in the remodel and how much it costs in total. A bathroom remodel involves various areas of expertise: construction, plumbing, electrical and lighting. Talk to your bathroom remodel contractor at the start of the project about how they deal with mistakes, damage and repairs that may arise. Make sure the work will be backed up by an expressed warranty or guarantee. You want to get the value of a new bathroom for the amount of money you are paying the remodeling contractor. What you don’t want is the additional cost of repairs and maintenance for mistakes made in the initial remodel. This entry was posted in Home Improvement and tagged via bookmarklet.